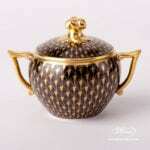 Sugar Basin with Twisted Knob – Gold Fish Scale on Black Background pattern. 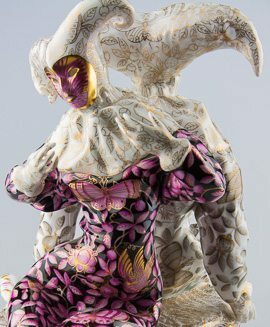 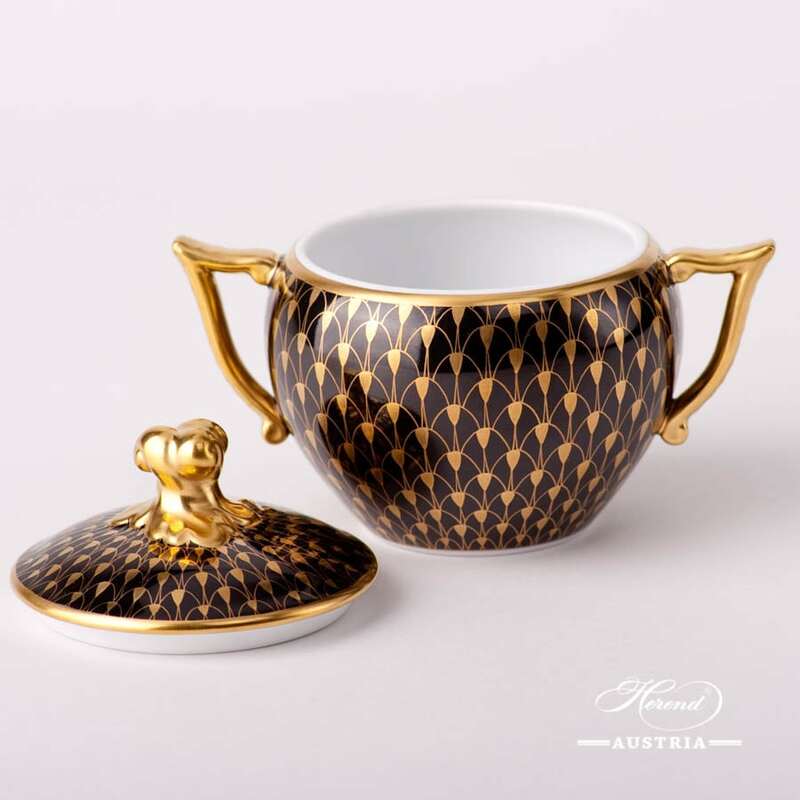 Herend fine china – 20472-0-06 VHN-OR Black and Gold design. 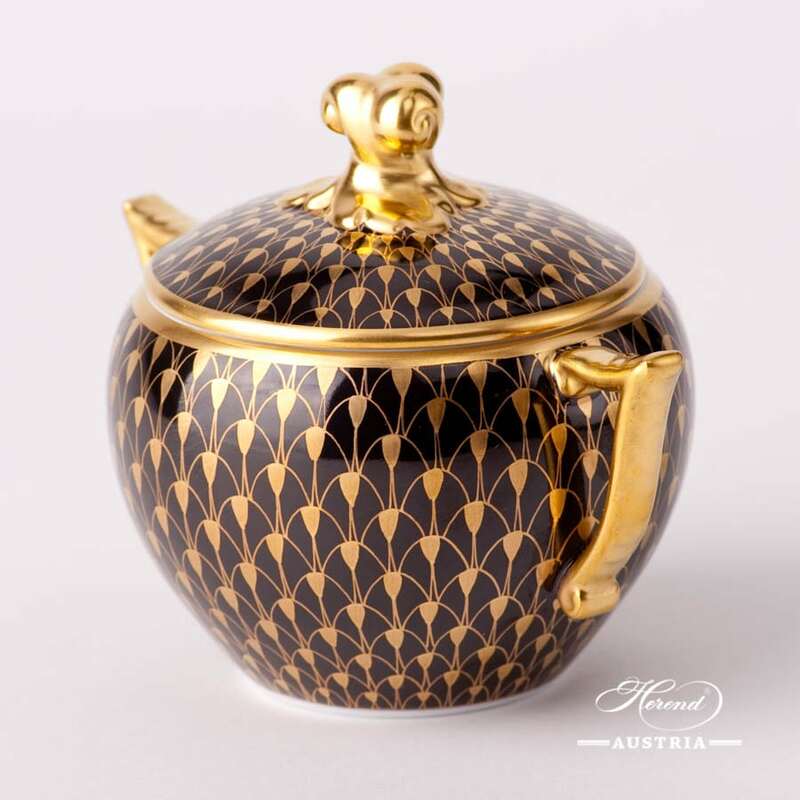 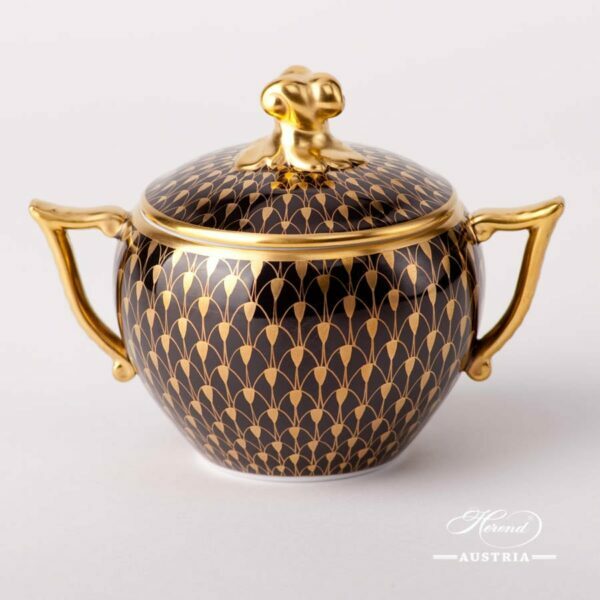 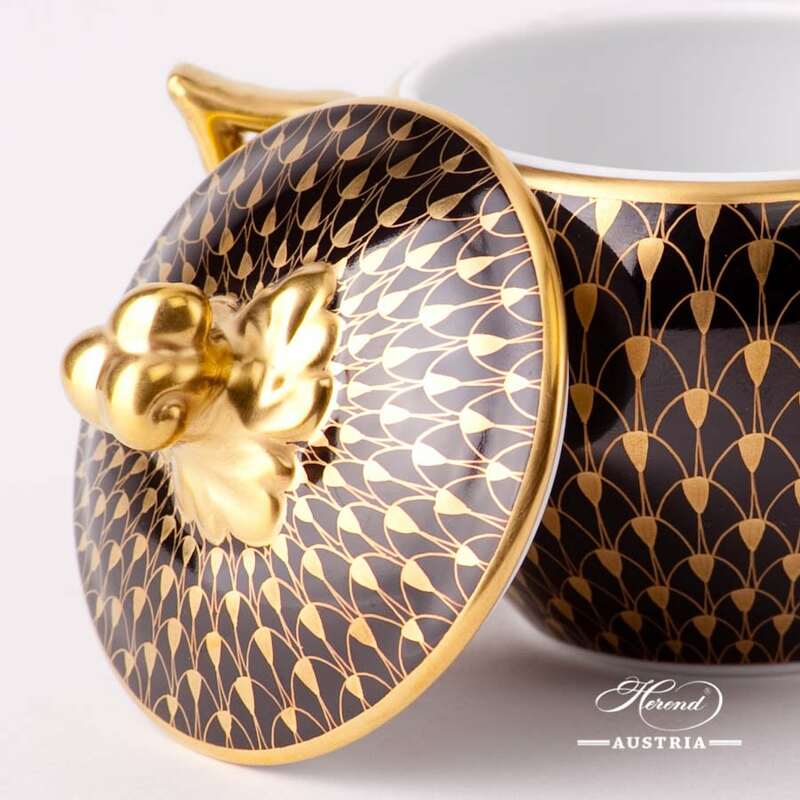 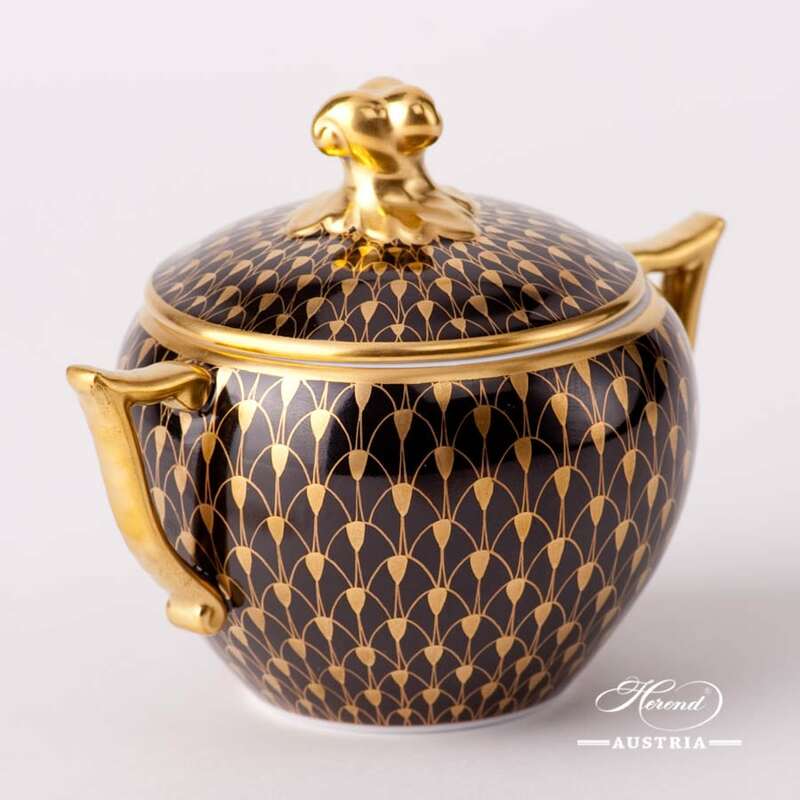 Sugar Basin with Twisted Knob – Herend Gold Fish Scale on Black Background pattern. The Sugar Basin is an ideal choice to all Fish Scale Tea and Breakfast Sets.